BOSTON– The Cavaliers are going to need to steal a game in Boston to get to a fourth consecutive NBA Finals. Game 5 is as good a game as any to get it done. 1. Can the Cavaliers continue to exploit mismatches? The Cavs did a particularly good job in Game 4 of taking advantage of mismatches, especially against Terry Rozier. 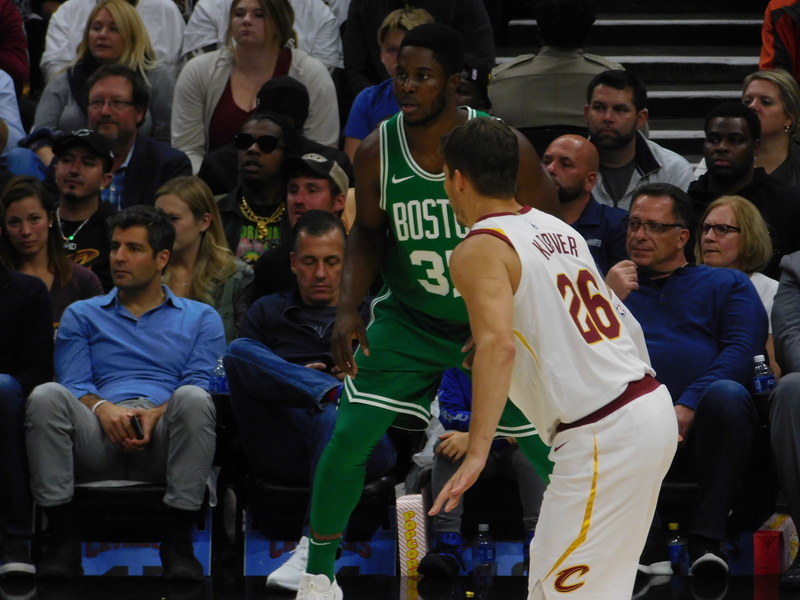 Whether it was LeBron James overpowering him in isolation situations, or Tristan Thompson and Kevin Love taking advantage in post-ups to open up shooters, the Cavs did a good job of taking advantage of Boston switching 1-5. As head coach Tyronn Lue said after the game, considering their other four starters are roughly the same size, going at Rozier is the best bet for their bigs. 2. Bounce back from Love? Over the last two games, Kevin Love has struggled on the offensive end putting up performances of 13 and nine points. During the first two games in Boston, however, Love put up 17 and 22 points respectively. While role players stepped up in Games 3 and 4 in Cleveland, the reality of the situation is that we can’t expect the same thing from them on the road. Love being active offensively will be important to open things up for shooters, as well as take pressure off of James. 3. What kind of changes, if any will we see from Brad Stevens? After teasing a potential change to the starting lineup ahead of Game 4, Stevens went with the same starting unit he’s used in the first three games of the series. However, since Al Horford still has been largely ineffective when Tristan Thompson is guarding him, will Stevens decide to start Aron Baynes in an effort to free up Horford? Only time will tell, as Stevens, like Lue, doesn’t typically divulge lineup changes until the last possible moment.